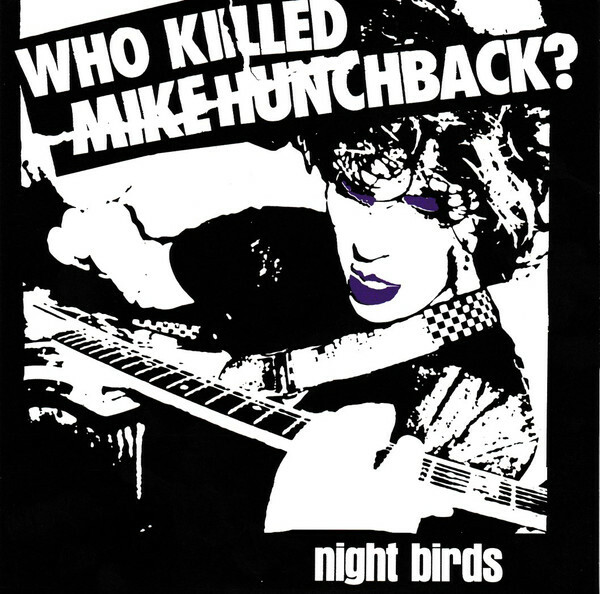 Rayons ♩ Night Birds - Who Killed Mike Hunchback? One-time pressing of 1500 copies on black vinyl. "BEWARE! Contains previously unreleased original DEMO versions of Night Birds songs!" [a1603710] did all vocals and instrumentation on tracks B1 & B2. Tracks A1 - A3, B3 recorded by Darren Golda in 2011. Tracks B1 & B2 recoreded by Mike Hunchback in 2009 & 2010. Mastered by Darren Golda in 2016.